Pack of 100 Pre-printed total productive maintenance (TPM) job cards 70mm x 175mm for use with task board. Keep track of very day maintenance tasks with this simple visual lean tool. Yellow TPM Cards has been added to your cart. Go to shopping cart. 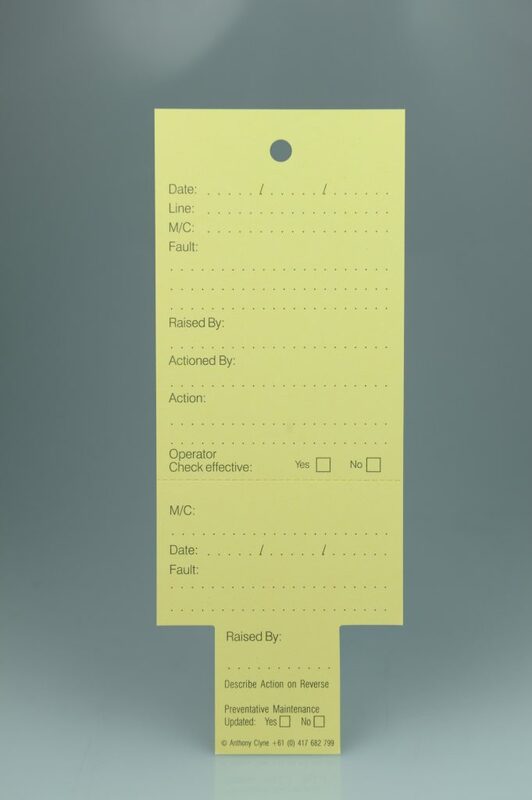 Cards are perforated with top half acting as a simple works order request to go to maintenance while the bottom half stays in the work area to track the progress of the task.